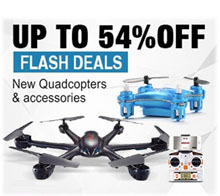 Electric Unicycles There are 4 products. 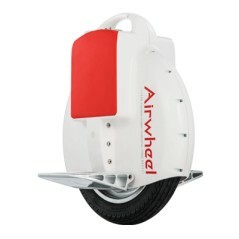 ONE WHEEL- Your eyes don't deceive you. 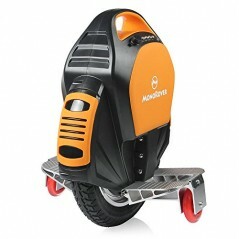 This is a one wheeled electric scooter, and yes you can buy one today. 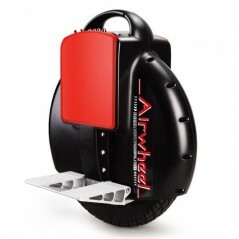 With a 170WH battery the Airwheel X3 can reach speeds of over 18 KmH. No need to lock up your bike or drive around endlessly trying to find a parking spot, just fold up the foot pegs and away you go. ONE WHEEL- Your eyes don't deceive you. 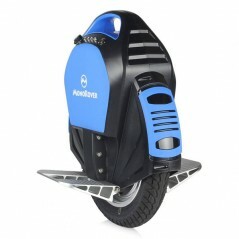 This is a one wheeled electric scooter, and yes you can buy one today. With a 132WH battery the MonoRover can reach speeds of over 22 KmH for a distance of 24 Km. No need to lock up your bike or drive around endlessly trying to find a parking spot, just fold up the foot pegs and away you go.